February | 2014 | Katie Simpson Spain (say it again). 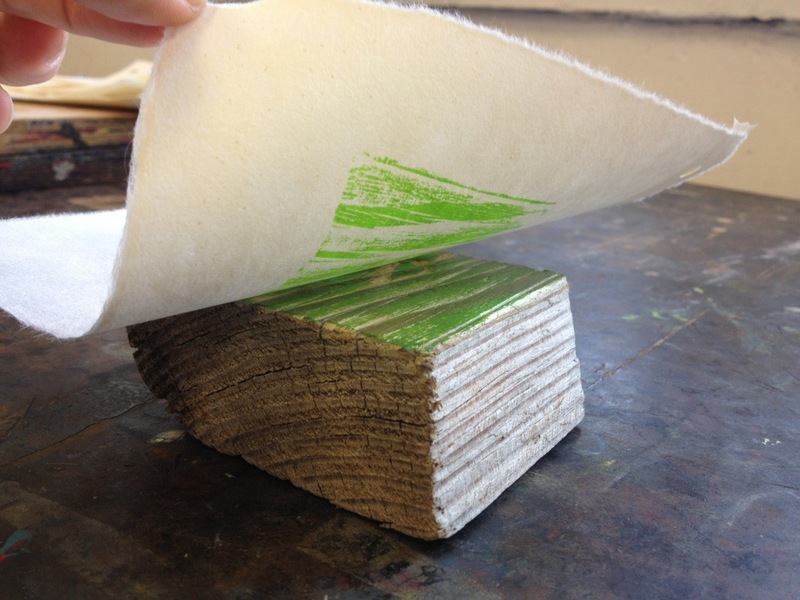 Dude I am so excited about woodblock printing! Ahhh! 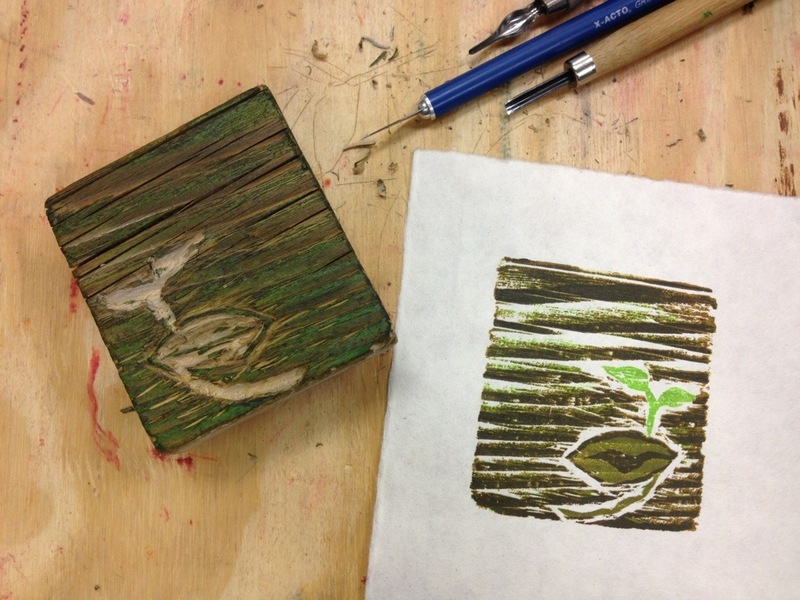 Printmaking is the best! 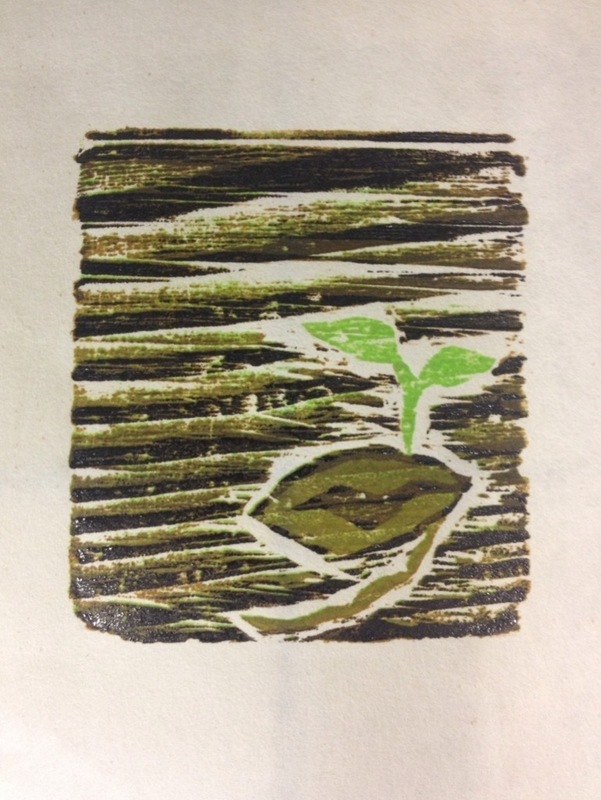 I had a great day today hand printing little 4 color reduction woodcuts, using a chunk of 2×4 driftwood I found on a beach in Capitola, California. And I started cutting and wirebrushing another 2×4 for a new bigger (long) print. I took some pictures so I could explain part of my process to one of my best most awesome friends ever so I figured I would put them up here too! 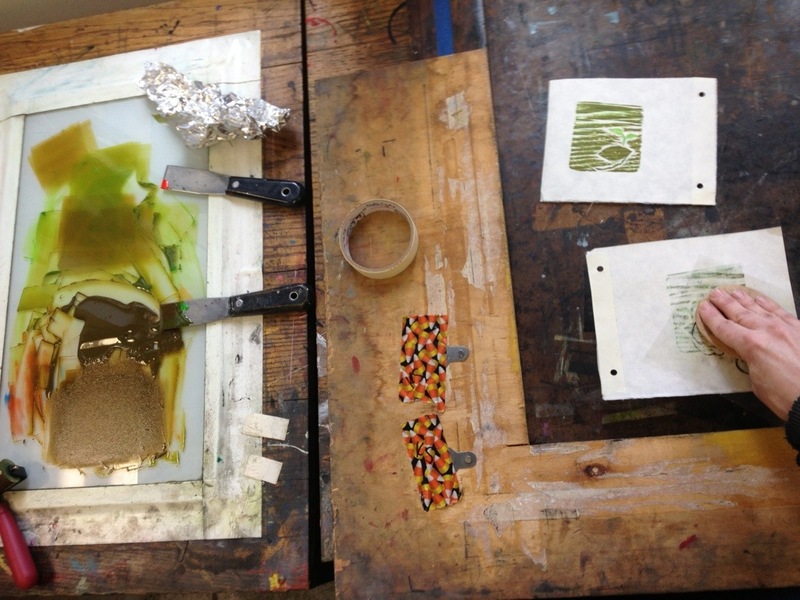 I love hand printing! You could do all of this stuff at home! No press necessary! Yessssss! Studio space is nice though… and pins and tabs (or a hole punch, and a registration block thing. That stuff helps.) But especially if yr working small you don’t really need any of it. 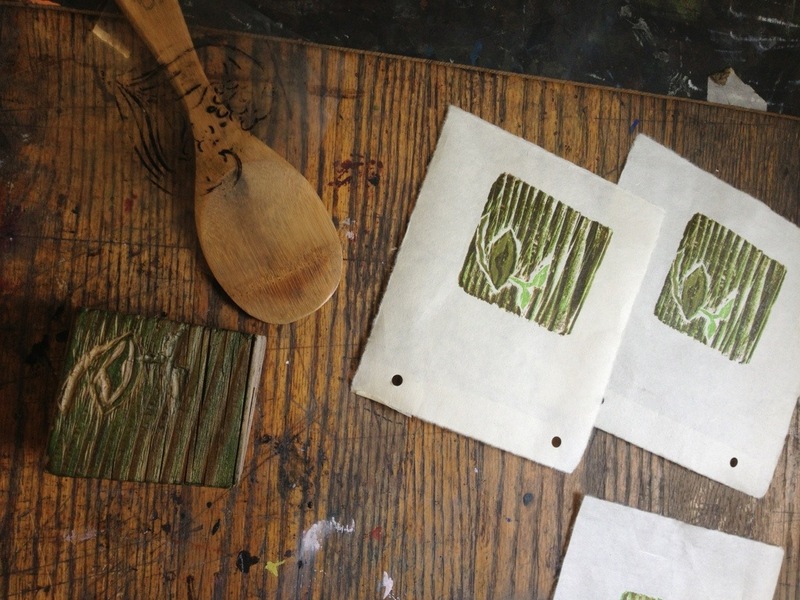 Just patience, perseverance, ink, paper, tape, a good spoon, a brayer and something to print. Yay art for everybody! 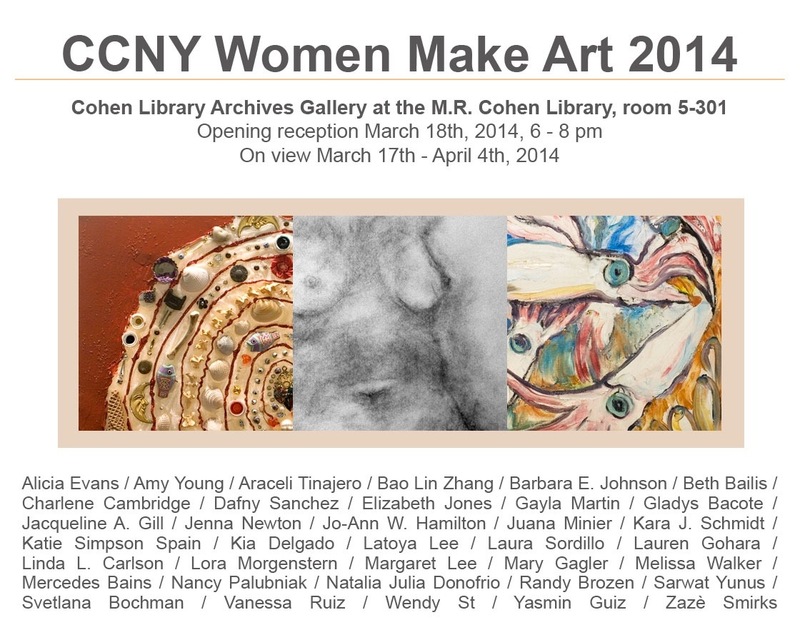 This print is up in city colleges Cohen Gallery Archives – as part of CCNY Women Make Art, until April 4th. I’ll post the show flier too!